Seventeen people aboard HMS Bounty have abandoned ship off the coast of North Carolina amid Hurricane Sandy. The captain gave the order for the crew to enter the lifeboats at 4:30 EST and a rescue attempt by a US coastguard helicopter is under way. The HMS Bounty Organization said it would assess whether the ship could be saved but its concern was for the crew. HMS Bounty is a replica of the original Bounty, famous for its ill-fated trip to Tahiti and the West Indies in 1789. 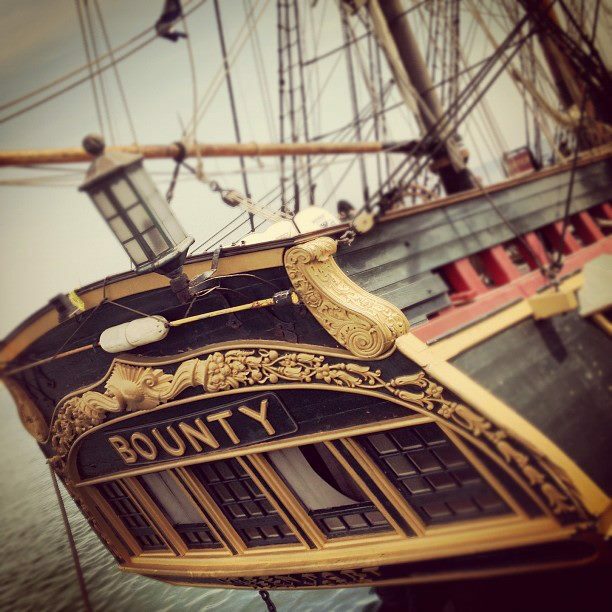 Tracie Simonin, director of the HMS Bounty Organization, said that the ship began to experience difficulties at about 18:30 EST on Sunday when it lost power and was unable to continue “de-watering”. “At that time we contacted the US coastguard for assistance,” she said. “A C-130 plane was sent to their position, which was 90 miles south-east of Cape Hatteras, and then at 04:30 EST this morning the captain ordered all hands to abandon ship. Tracie Simonin said everyone on board was American.